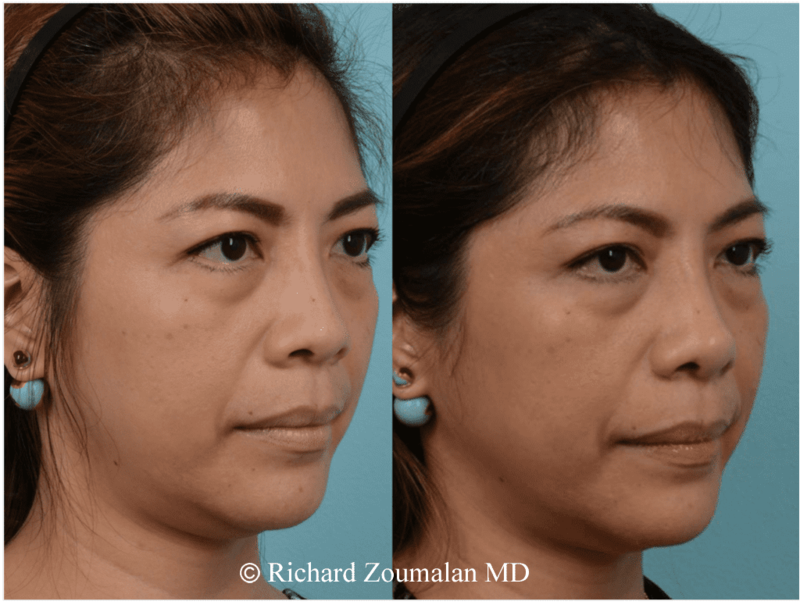 Asian Rhinoplasty requires special skill and expertise. 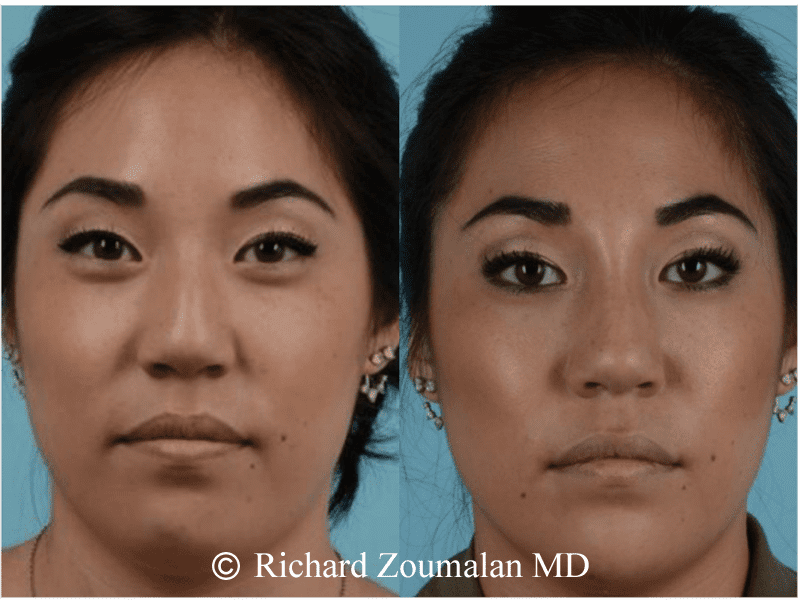 Asian Rhinoplasty is different from other forms of Rhinoplasty because of the usual need to build the bridge of the nose. Dr. Zoumalan is one of few surgeons who can perform this surgery with all the available tools. The reason for this is that while some patients prefer implants, others prefer their own cartilage. Dr. Zoumalan can deliver on both of these. There are wide variations amongst the different Asian races. This includes Chinese, Korean, Japanese, and South-East Asian. 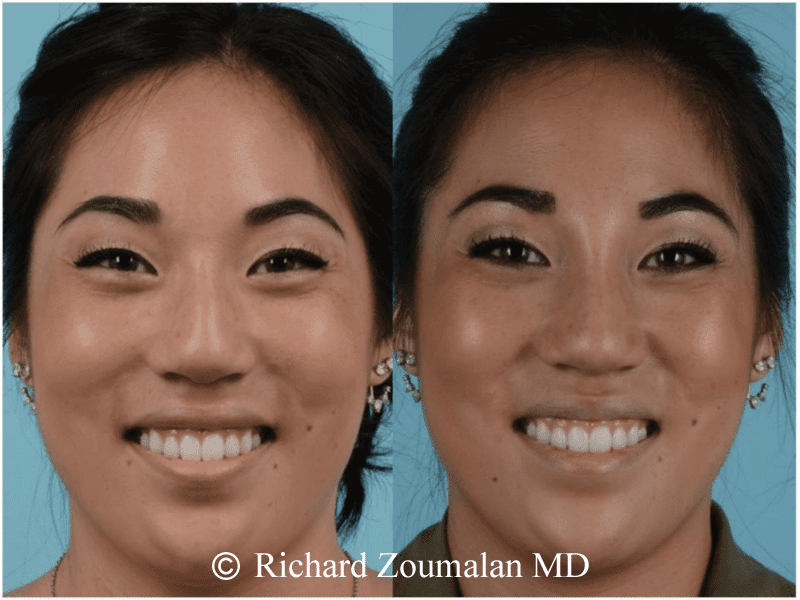 Mixed Asian races are on the rise, and each surgery should be tailored towards each individual. The nose must fit the face. 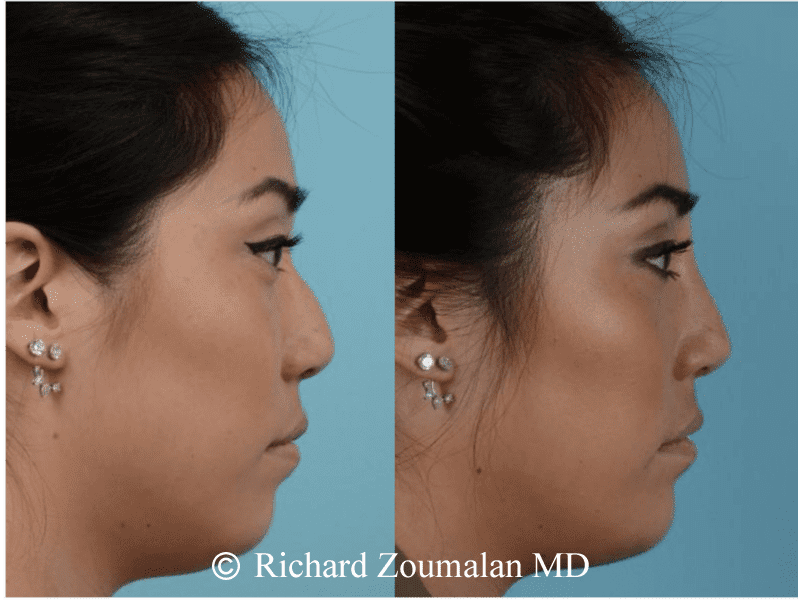 Asian Rhinoplasty patients tend to complain about their short noses, wide tips, wide nostrils, and flat bridge. They commonly ask for their bridge to be built and have a more refined tip. Many Asians also complain about their flared nostrils. Asians also tend to have breathing problems. 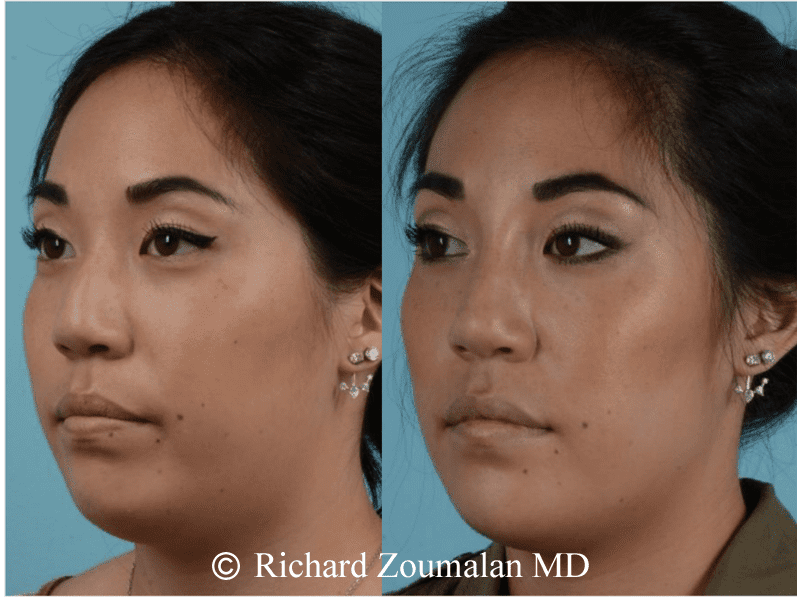 Dr. Zoumalan is an expert in helping people breathe better through straightening your septum and making your turbinates smaller. 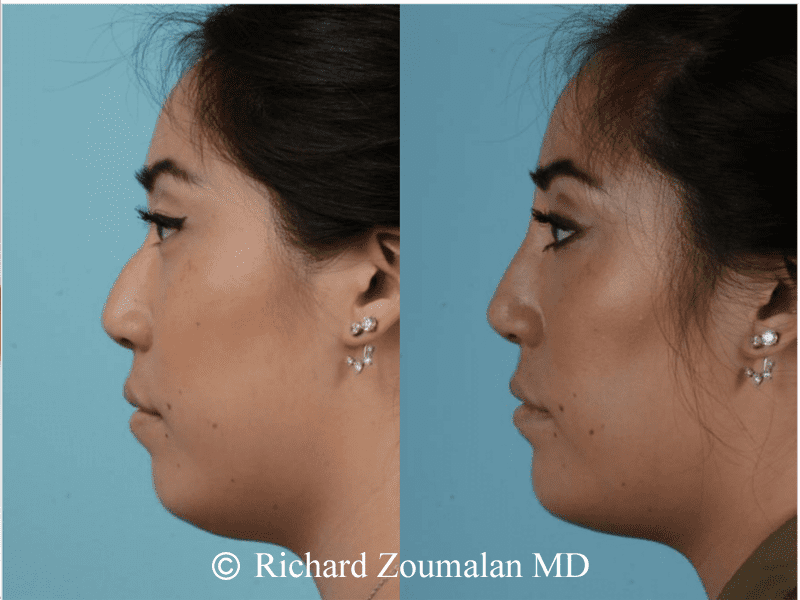 This is a very important part of Rhinoplasty, because healthy breathing is an important part of having a high quality of life. You will sleep and exercise better, and you potentially could have fewer infections. 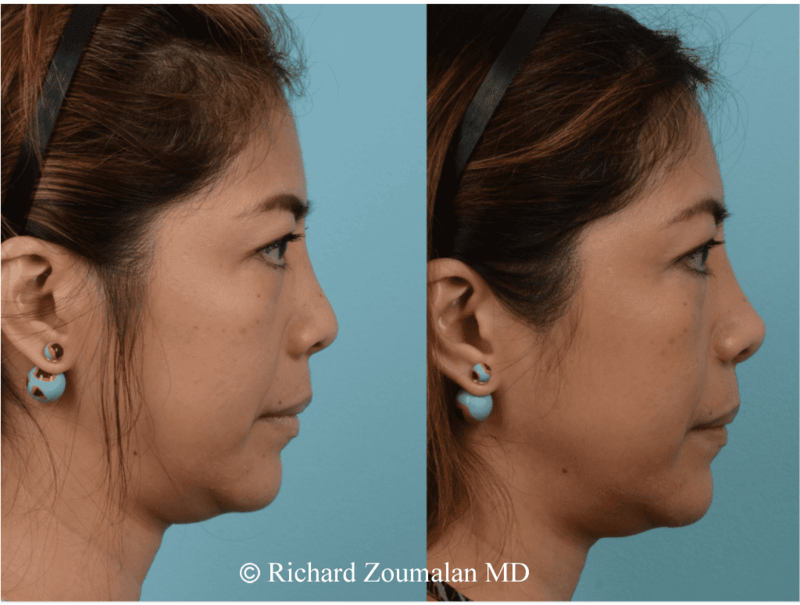 Dr. Zoumalan has expertise in being able to use your own cartilage, either from your septum (nose), ears, or even your rib cartilage. 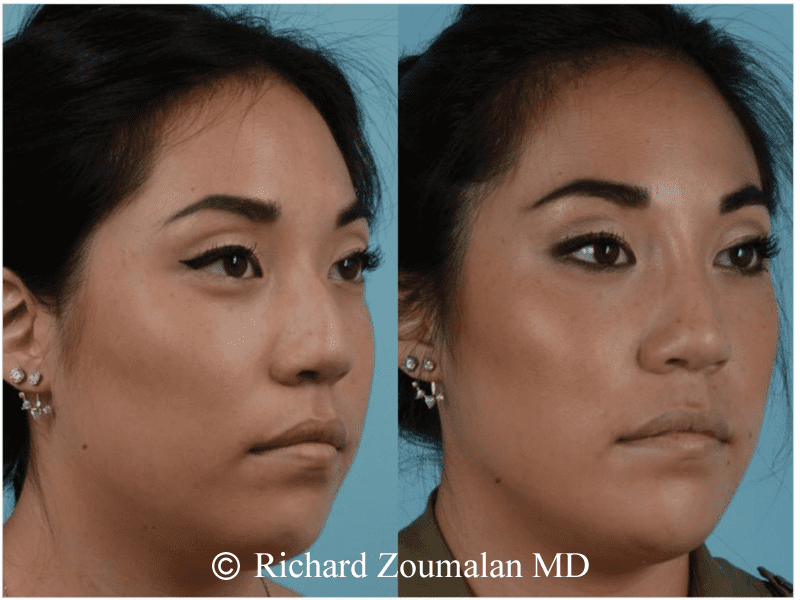 While it may seem odd to use parts of your body other than your nose for cartilage, the truth is that many Asians need more cartilage than other races, and the septum alone may not be enough. Some patient would prefer their own cartilage to an implant. This is why Dr. Zoumalan has to sometimes use the ear or rib. It is important for the patient to know that these incisions can be well hidden so that you may have little to no signs of surgery. 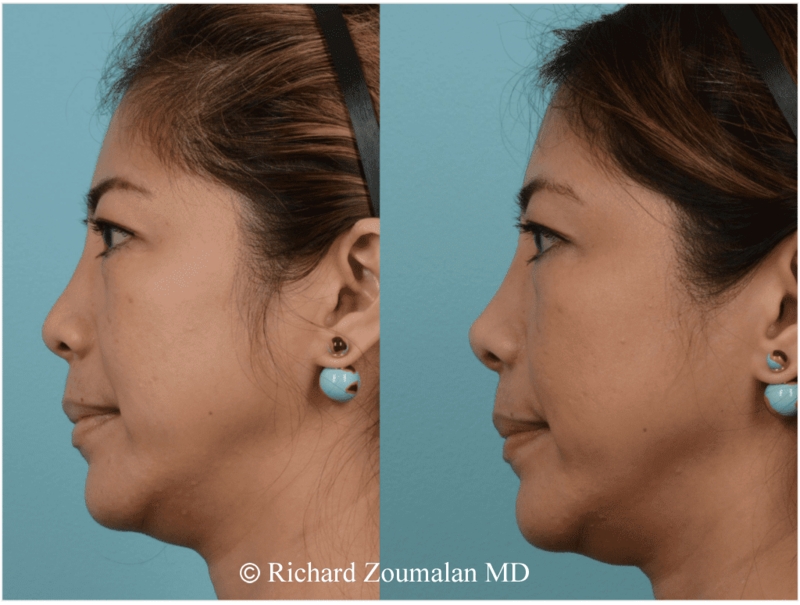 Should I have an implant or my own cartilage to help with my dorsum? This is a personal decision which should be made on the information provided by your surgeon. Dr. Zoumalan can give you the pros and cons for each. Simply put, Dr. Zoumalan feels that an L-strut is not appropriate, as he has taken many of these out. L-struts can become infected easier and have more problems than the standard dorsal implant made of silicone. Ultimately, Dr. Zoumalan prefers natural material rather than implants. However, this means a little more time in the operating room, as the implant may have to be taken from the ear or rib. Rib grafting is something that Dr. Zoumalan is an expert in. He routinely takes rib graft for revisions with little or no cartilage left in the nose. He is able to take this piece of rib safely and with small incisions. However, during your consultation, he will be able to tell you whether you have enough cartilage inside your nose to help you. Does Dr. Zoumalan share my aesthetic goals? 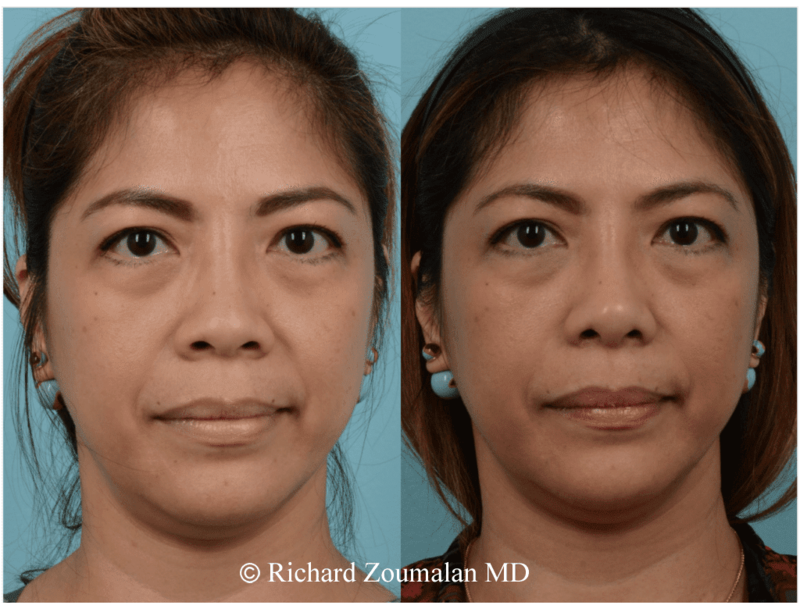 Dr. Zoumalan’s goal is to make your nose fit your face. He does not desire to shape an Asian’s nose into a Caucasian shape, as this will look unnatural. The goal is to elegantly refine your features to give you a nose that looks natural. 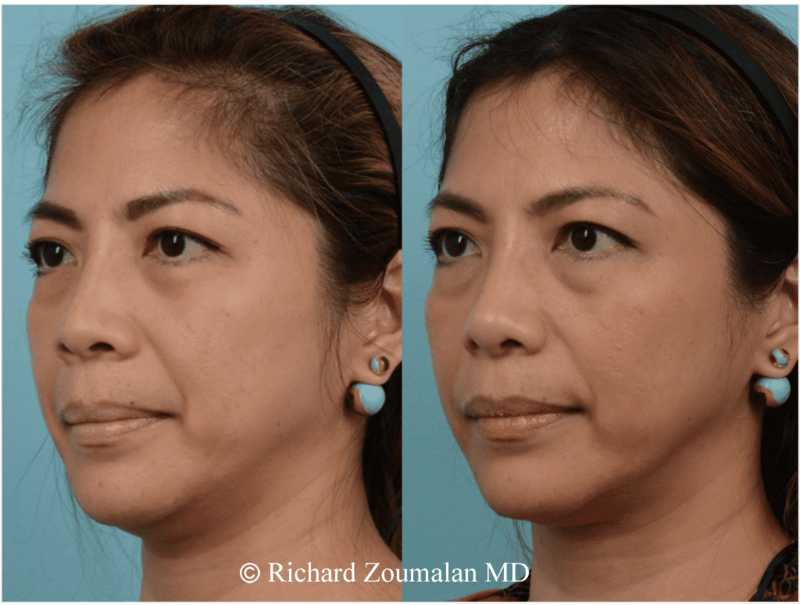 During your consultation, Dr. Zoumalan will feel your nose as well as examine its internal structures. Then he will image your nose on a virtual surgery system to show you what your nose can look like. This will help him understand if you share the same cosmetic goals.